As thousands of silken-feathered egrets whip their way into the sky, the sea around Xiamen City glimmers in the sunlight and ships in the harbour creak with the rippling waves. 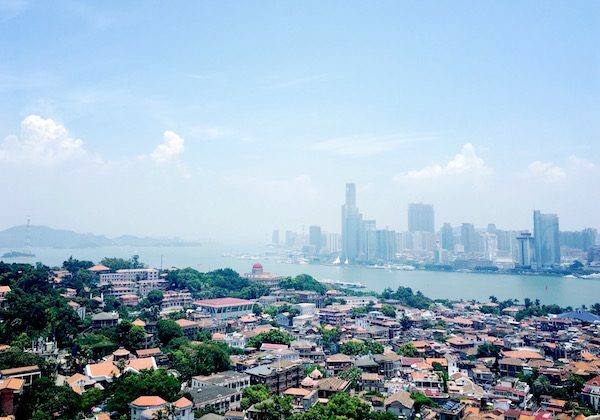 The city centre itself is located on Xiamen Island just off the southeastern coast of China’s Fujian province, while a secondary island known as Gulangyu and four other districts on the mainland make up the rest of the city. Its relatively small population means it is rarely crowded, which only adds to the peaceful atmosphere. Surrounded by water, it’s a veritable floating Atlantis; let’s just hope it doesn’t sink anytime soon! The Jinmen Islands rest just 10 kilometres (6 mi) offshore and belong to Taiwan, meaning cultural exchanges between the Fujianese and Taiwanese in the city are common. That being said, Xiamen was not always the fine, harbour city that we see today. During the Song (960-1279) and Yuan (1271-1368) dynasties, it was known as Jiahe Island and was notorious as a lair for pirates, who smuggled contraband into the country. In fact, this issue became so prevalent that the island was fortified in 1387 as a measure to defend against piracy and this was when it first came under the name Xiamen. In 1544, the arrival of Portuguese sailors heralded the beginning of foreign trade in the city and it is believed that several English words, including “tea”, “kowtow” and even “ketchup”, were derived from the Hokkien words that these sailors would have come across, Hokkien being the dialect of Chinese used widely throughout Fujian. However, bad behaviour saw the Portuguese swiftly expelled from the city and, although it would continue to be visited by European ships, this would all end in 1757 when foreign trade was restricted exclusively to Guangzhou in Guangdong province. You have to wonder what those Portuguese sailors did that was bad enough to get the whole world practically banned from the city! After the Ming Dynasty (1368-1644) was overthrown by the Qing Dynasty (1644-1912) in 1644, a Ming loyalist named Zheng Chenggong or Koxinga (1624-1662) took control of the city and ruled it throughout the 1650s. He decided to name the island Siming, which literally translates to mean “Remembering the Ming”. After all, you know someone’s loyal when they opt to name a whole island after you! However, when Zheng drove the Dutch from Taiwan and decided to move his base of operations there in 1661, it subsequently weakened his position in Siming. In 1680 it was finally taken by imperial forces and renamed Xiamen by the Qing imperials. The city would undergo radical change once again after the First Opium War (1839–1842), when China agreed to a pact known as the Treaty of Nanking with Great Britain, France, Japan, and 10 other countries. In this arrangement, Xiamen was named as one of five seaports opened up to foreign trade. It became an eminent trading centre throughout the 19th century and, in 1903, Gulangyu Island was designated as an international foreign settlement, which allowed members of the 13 partner countries to settle, build houses, start their own businesses, and control the administration of the island. In 1956, a causeway was finally built connecting Xiamen Island to the mainland. 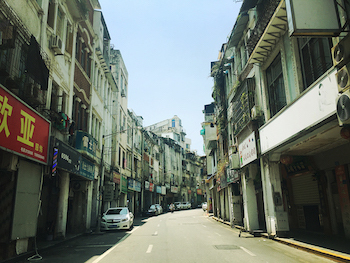 Having played host to visitors and residents of various ethnicities throughout the years, Xiamen is a real melting pot of architectural styles, religions, and cultures from across the globe. From traditional Taoist temples to European-style cathedrals, the city is a hectic mixture of Eastern and Western influences. 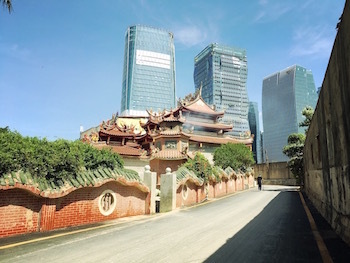 The city’s Xinjie Church was the first Christian church ever to be built in China and Gulangyu Island is now littered with stunning colonial-style buildings. The Nanputuo or South Putuo Temple on the southeast of Xiamen Island is one of the holiest Buddhist sites in China and is so-named because it’s located south of the sacred Mount Putuo in Zhejiang province, which is believed to be the legendary home of the goddess Guanyin. The temple was originally built during the Tang Dynasty (618-907) and was called Puzhao or Universal Grace Temple, but was tragically destroyed in warfare during the fall of the Ming Dynasty. It was eventually rebuilt in 1622 by a general named Shi Liang, who renamed the temple Nanputuo and made it a site primarily for the worship of Guanyin. The temple itself is backed by the misty Wulao Mountain range and faces the sea, making it the perfect scenic spot to while away a peaceful afternoon. For nature-lovers, the city also boasts a beautiful Botanical Garden, where visitors can relax and enjoy a little slice of nature within the urban jungle. In Yongding County, about 307 kilometres (191 mi) outside of Xiamen, there are a number of Tulou or fortified earthen buildings dotted throughout the countryside, which are a must-see if you’re travelling in Fujian.